VooDoo Tactical Mil-Spec Black Widow Machete with Self-Sharpening Sheath, 18"
The stealthy Bita does little to mirror its Viking heritage; though a pillaging Viking would have undoubtedly taken it everywhere. Covert in its sheath, but mighty in-hand, the Bita is an adventure-inspired everyday carry knife. Clean lines and simplicity are obvious at first glance. But the powerful functionality of this 1.9" fixed blade lurks under the radar until the moment it's needed. When Jesper Voxnaes of LÃ¸gstrup, Denmark needed a backup carry to take into his rugged backyard, he channeled inspiration from clean Nordic design. The drop point blade features a bead blast finish for powerful protection against the brutal elements. 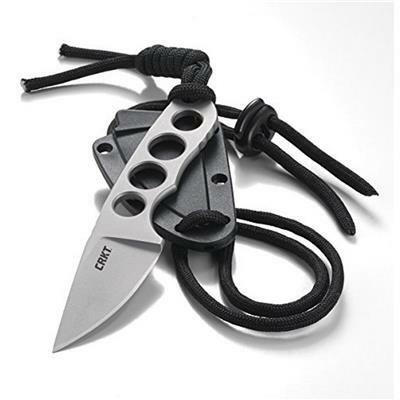 Holes carved into the stainless steel handle reduce the already minimal weight and can be laced with paracord or webbing. The gear-compatible sheath elevates on-the-go options. The Bita might not have been on the front lines of a Viking charge, but it certainly would have been close behind to pick up the pieces.